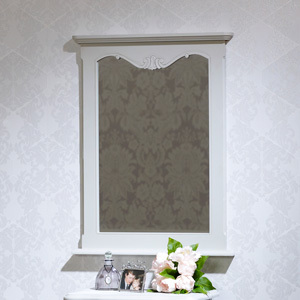 This is our stunning Elise Grey Range double wardrobe. 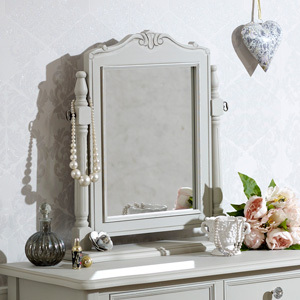 Beautiful vintage Fench style with 2 mirrored doors and 2 large drawers complete with crystal style knobs. 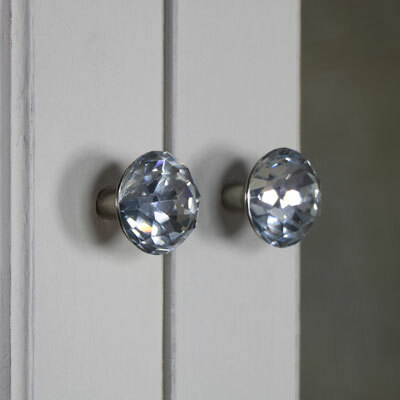 Perfect bedroom storage. 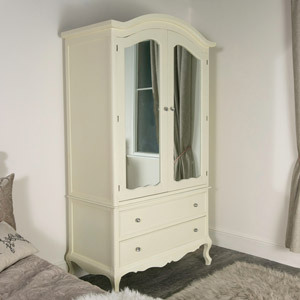 This large double wardrobe perfect if you're looking to create a bedroom that exemplifies the vintage French country styling. 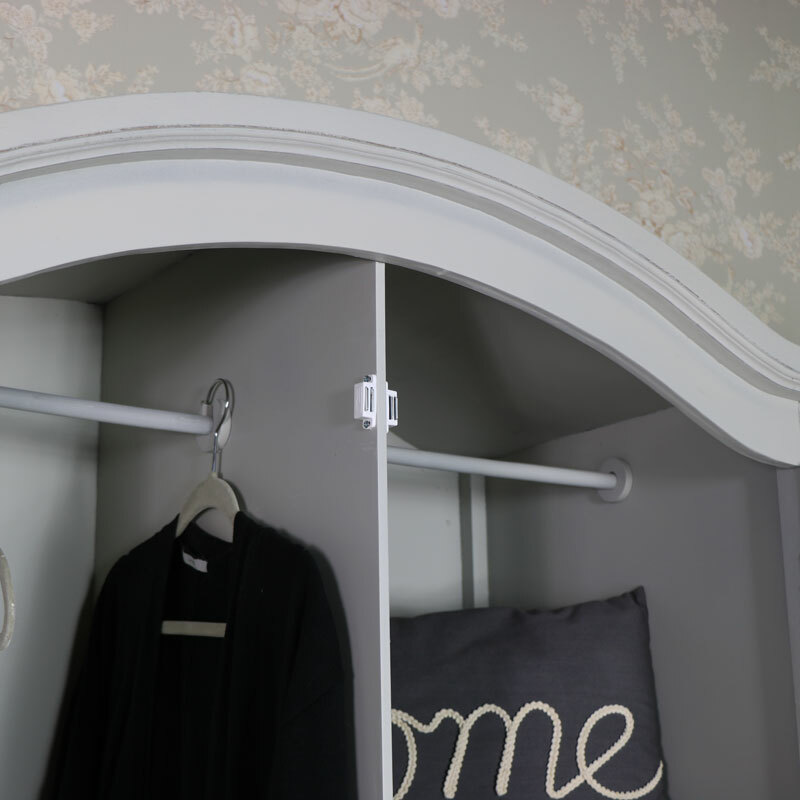 Offering plenty of storage with split wardrobe featuring hanging rail on the left and removeable shelving on the right side, complete with hanging rail. 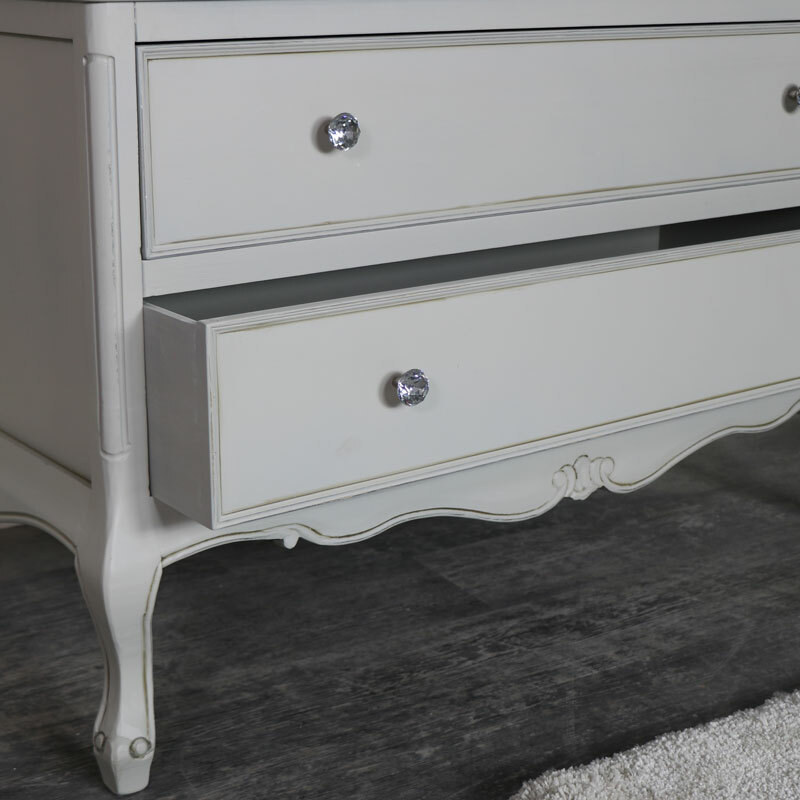 The 2 drawers on the bottom give extra space for folding your clothes and keeping them neat and tidy. 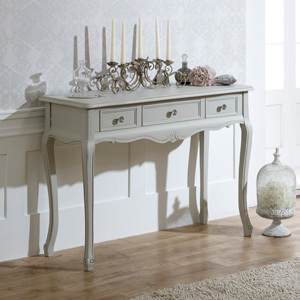 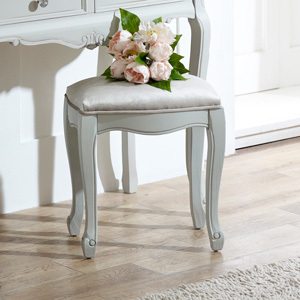 Gorgeous French furniture, elegance and style in one perfect package. 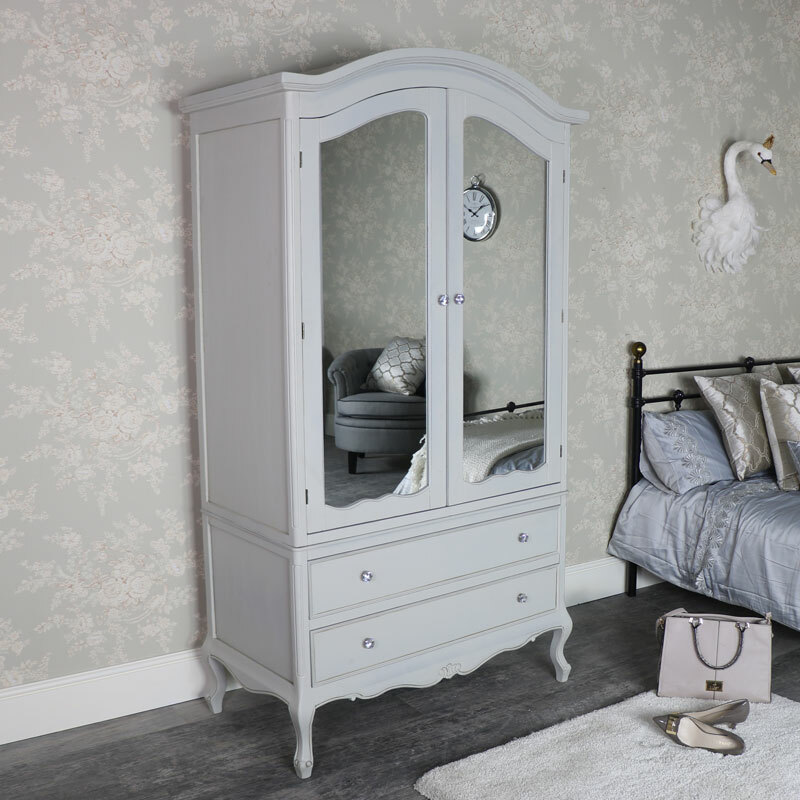 Create a bedroom you love with our Elise Grey Range bedroom furniture, with a full dressing table set, chest of drawers, in 2 sizes, and bedside tables. 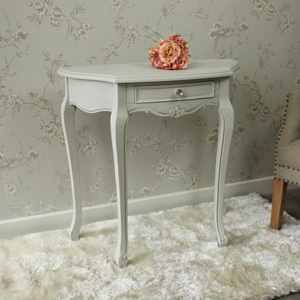 Carry on the theme throughout with living room furniture. 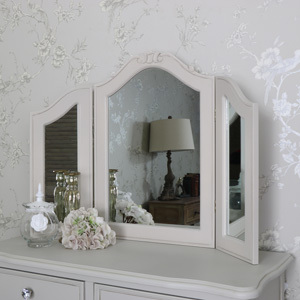 This is our stunning Elise Grey Range double wardrobe. 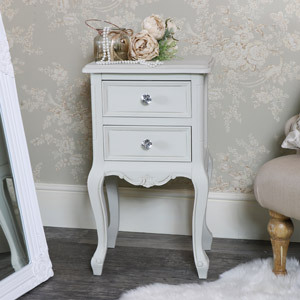 Beautiful vintage Fench style with 2 mirrored doors and 2 large drawers complete with crystal style knobs. 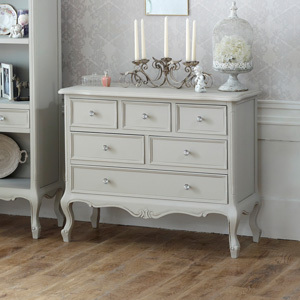 Perfect bedroom storage.